Are you in need of a New Boiler Installation? Do you live in the Blackheath South London area? Does your Business operate in the Blackheath South London area? Is your property a new build or undergoing renovation? Get your New Boiler Installed with Boilers South London who are working in the Blackheath South London area just for you right now! With the Sun shining brightly over Blackheath & South London the last thing on any of our minds is our boilers agreed! But after the long harsh winter (that we hope is well and truly behind us), there has never been a better time to get your New Boiler Installed with Boilers South London than today! 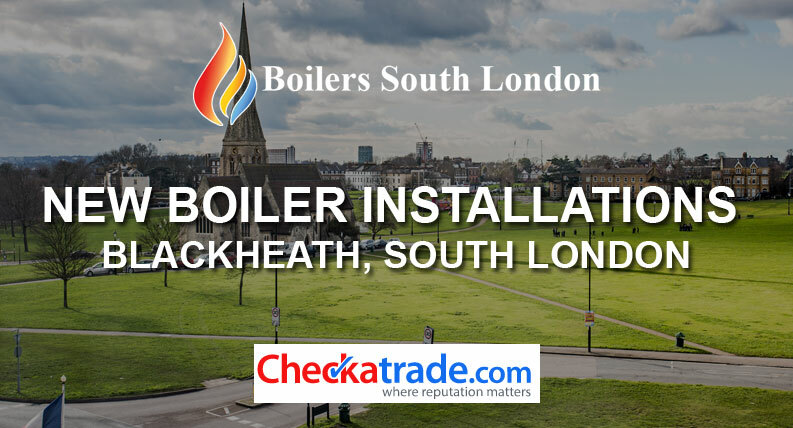 Boilers South London are a Fully Qualified and Gas Safe Registered Boiler installation company operating in the local Blackheath South London area. Boilers South London are offering free quotations for New Boiler Installations today at a time that suits you! 10 months interest free credit available (subject to status). Boilers South London are a Fully Qualified and Gas Safe Registered Boiler repair &installation company operating in the local Blackheath South London area. Choosing the correct boiler for your home or business is essential for both comfort and running costs. Boilers south London are offering a free no obligation consultation and heating design service at a time to suit you in the Blackheath South London only! Boilers South London are offering up to 10 years extended guarantees on Worcester Bosch condensing boilers. There has never been a better time to install a new boiler with complete peace of mind. Visit our website www.boilerssouthlondon.co.uk today or give us a call on 02083311711 / 07940158572 for some friendly local advice. Choosing the correct Boiler for your home or business in the Blackheath South London area is essential for both comfort and running costs! Did you know? Most new ‘A rated’ condensing boilers are up to 90% efficient compared with traditional non condensing boilers which only operate at approximately 60% efficiency. The savings on your fuel bill will be instantly noticeable once the correct boiler and heating controls have been professionally installed by Boilers South London. Boilers South London are Worcester Bosch and Vaillant trained and accredited for your total peace of mind. With up to 10 years extended guarantees on Worcester Bosch condensing boilers, there has never been a better time to install a new boiler with complete peace of mind. Boilers South London offer a FREE – no obligation consultation and heating design services at a time that suits you, contact us TODAY for a free quotation. Please follow us on Social Media and help us keep the Residents of Greenwich & South London safe & happy!